Liverpool’s lead atop the Premier League is officially gone. 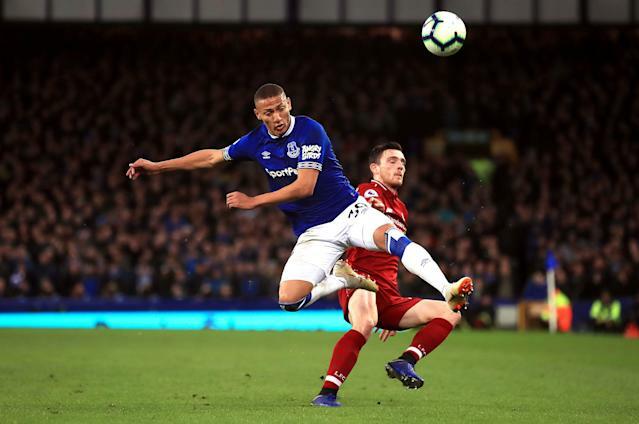 The Reds drew Everton 0-0 in Sunday’s Merseyside derby after 90 minutes of sound and fury, which means they’ll remain second in the table for the first time since December 5. Manchester City leads by a point, and while the Citizens have temporarily jumped ahead of Liverpool by virtue of playing first in recent matchweeks, the advantage is now solely theirs. On face value, a draw is hardly a bad result for Liverpool. Everton is 10th in the table and plays its bitter rival like each encounter is a cup final. Still, this has to be disquieting for Liverpool and its supporters, who have seen many a title challenge fall apart in the late winter and spring during the Premier League era. The entire match was played at a frantic gait, end-to-end with no end product. Liverpool’s characteristic press didn’t push as high for much of the afternoon, and Reds star Mohamed Salah went scoreless in his third straight league game. Salah had one of Liverpool’s best chances saved by Jordan Pickford in the 28th minute. His first touch took him toward goal and he opened his body to try and bend a left-footed shot around Pickford, whose strong hand deflected it away. 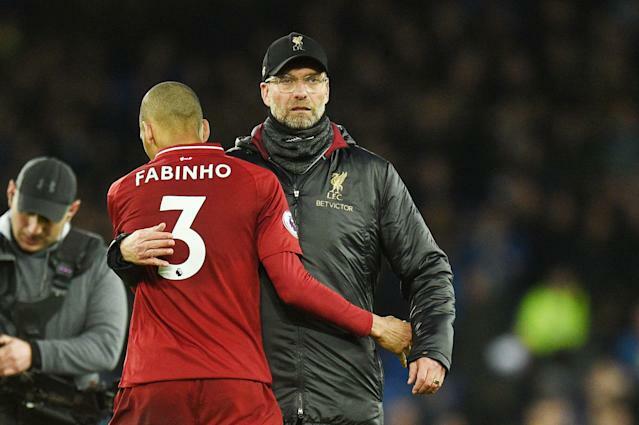 Liverpool midfielder Fabinho might have had a golden opportunity in front of goal midway through the second half, but his first touch off his thigh let him down when the ball fell his way. A few minutes later, Everton’s Richarlison came within inches of setting up Bernard after burning down the right flank and playing a ball in, but his fellow Brazilian’s slide was a step late. Richarlison came on as a substitute, one of several curious lineup decisions made by both managers. Everton boss Marco Silva opted to start veterans Theo Walcott out wide and Morgan Schneiderlin in central midfield over the more influential Richarlison and Andre Gomes, respectively, while Jurgen Klopp chose Divock Origi on the left wing and shifted Sadio Mane central in the attack, likely due to Roberto Firmino’s bum ankle. Klopp also kept Naby Keita and super-sub Xherdan Shaqiri on the bench the whole match. The draw means Liverpool has now dropped 11 points in its last nine matches, which has helped City retake the Premier League lead. It’s also the third scoreless draw in four matches across all competition for the Reds, who need their attack to rev up to beat City to the finish line. Everton, meanwhile, remains winless in the Merseyside derby since October 2010, a staggering 19 meetings ago. Sunday marked the 200th all-time between the two clubs, whose home grounds are separated by half a mile.